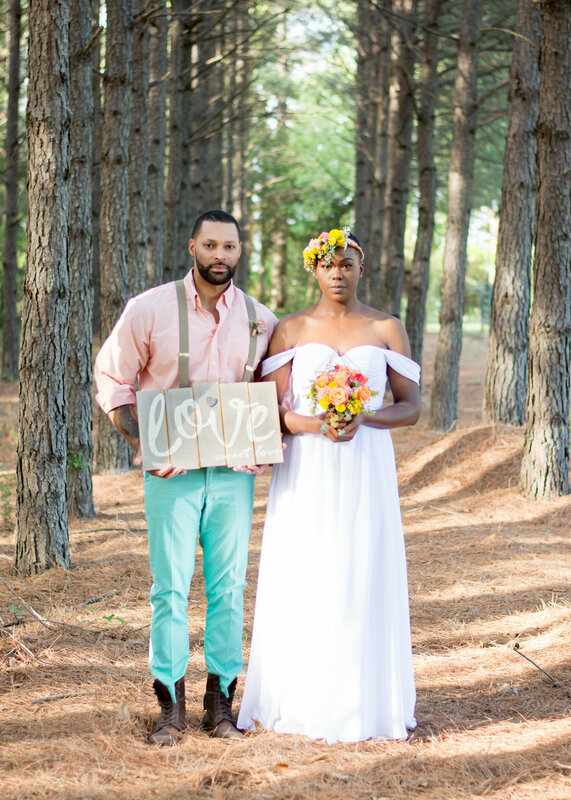 Modern, colorful floral arrangements paired perfectly with the idyllic forest surroundings for this styled shoot in Rock Hill. 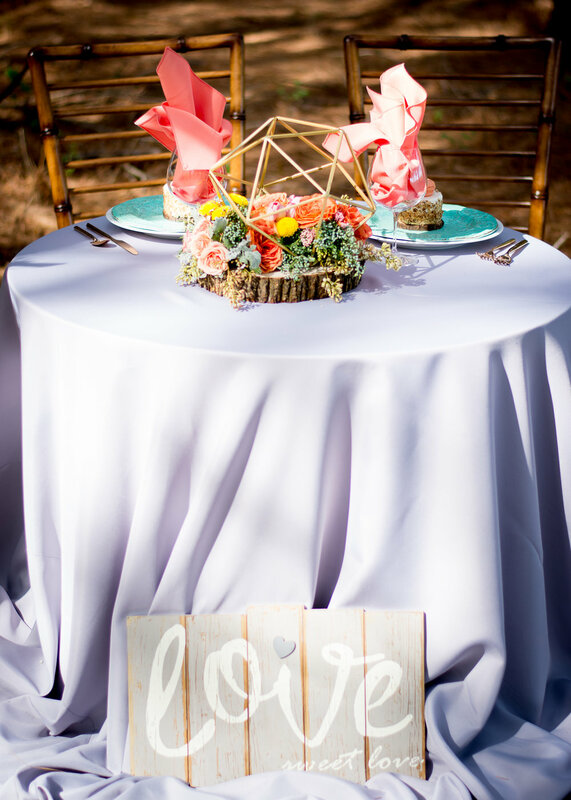 This bright, cheerful elopement scene has us wanting a romantic dinner for two in one of the many naturally beautiful spots in South Carolina. Planner Robyn Fryer created a stunning elopement scene for her first wedding styled shoot (we wish all of our first attempts in life turned out this beautifully! ), and it was captured by Denise Benson of Denise Benson Photography. Despite a challenge or two, the entire team pulled off a shoot that they could all be proud of. 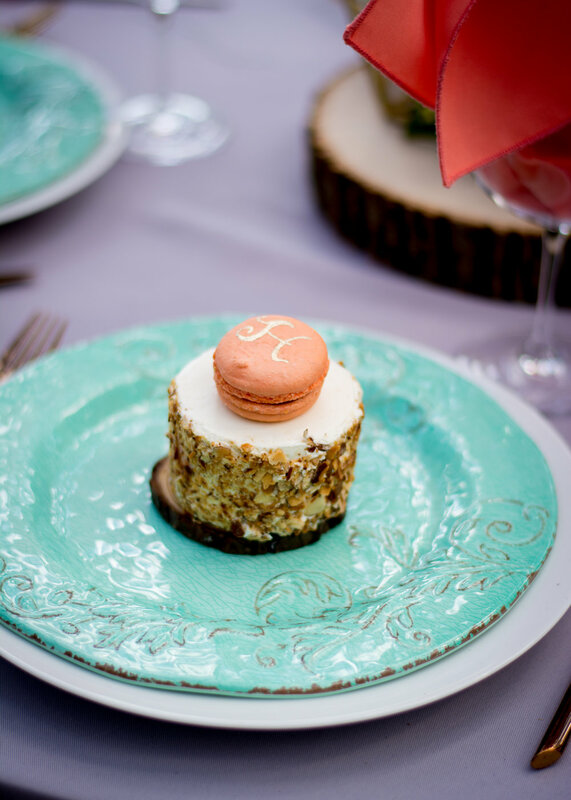 Pull up a chair, nibble on a macaron or two, and immerse yourself in this week's wedding inspiration! 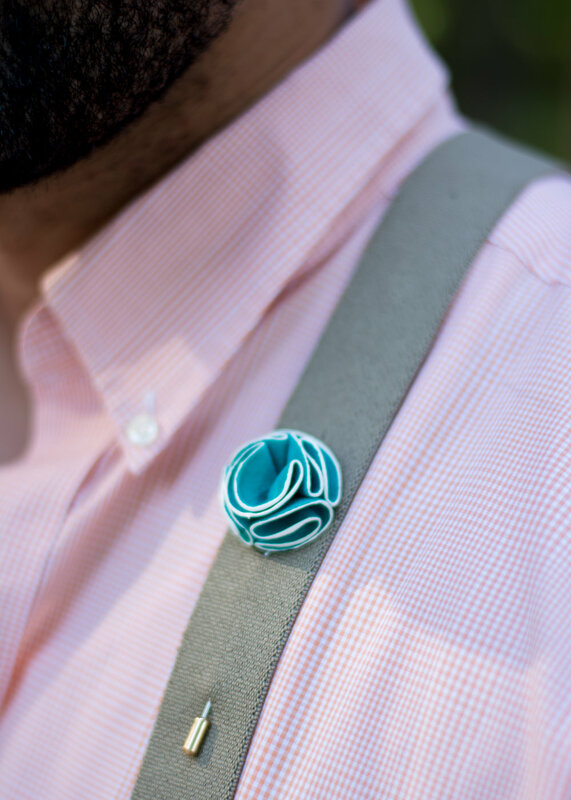 "I was inspired by the juxtaposition of the geometric shapes against the soft, organic nature. The colors happen to be my two favorite colors so I'm not sure if there was any other way to go for my first styled shoot." "These woods are my absolute favorite location to shoot. 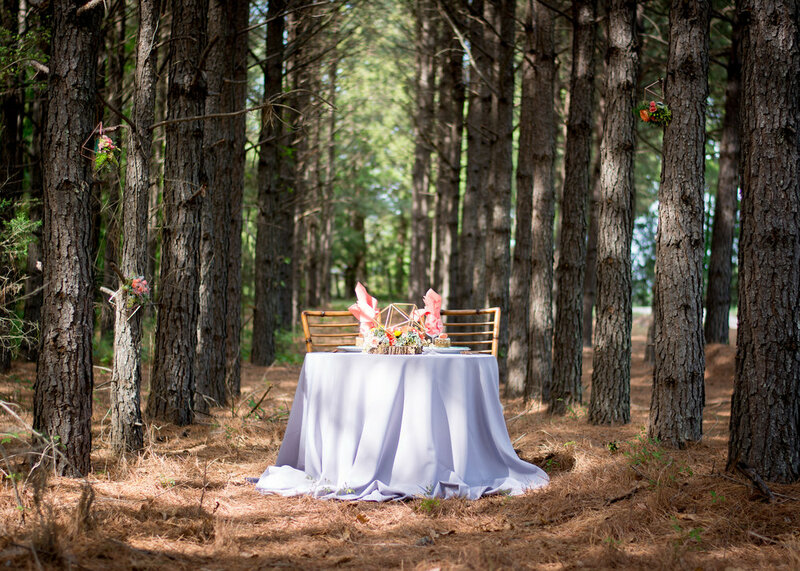 The simplicity of the muted earth tones paired with the tall trees makes for a unique location where the couple can take front and center and be the main attraction in what's still a very beautiful surrounding." 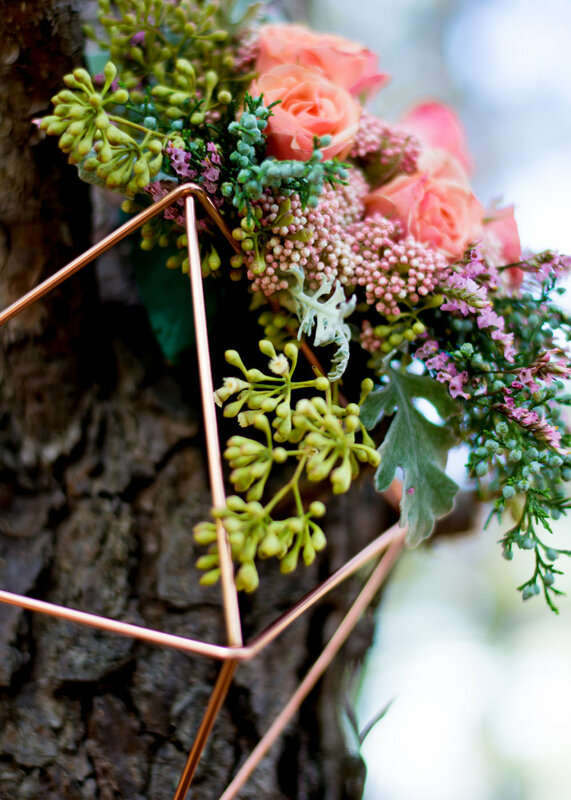 "My absolute favorite part of the entire shoot were the floral arrangements. 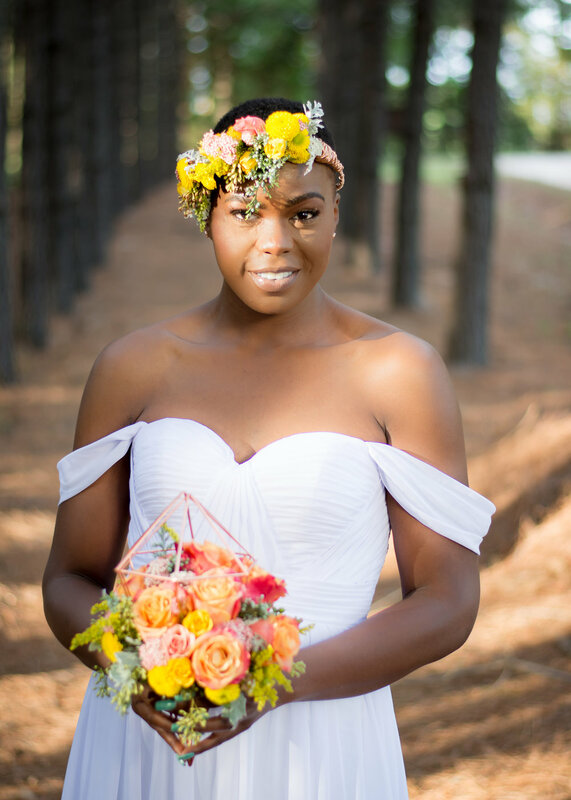 Robyn, the planner, and Kinya, the florist, did a phenomenal job teaming up with something that was out of the box and original, but still showcased a very soft and feminine vibe that I think any bride would be happy with on her wedding day." "Anytime you shoot outdoors you run the risk of Mother Nature taking over. We live in the South so it was a very, very warm day and there were plenty of bugs around, but the models were professional and had fun in the environment we were in so it made my job fun and easy." 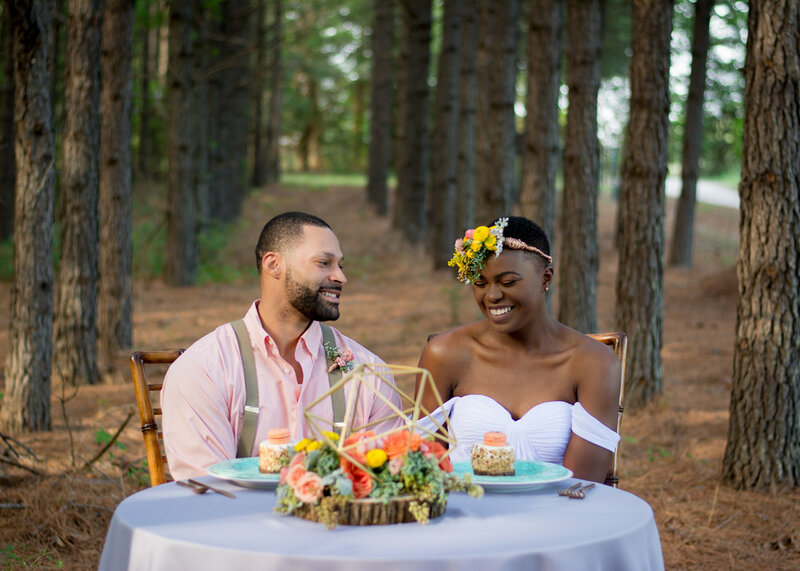 "There were several challenges that came up along the way, many related to the fact that this was my first "styled shoot rodeo," things like securing vendors and collecting all of the elements I wanted in the shoot. The biggest challenge, though, was actually health-related. Not only am I an event planner, but I also suffer from epilepsy and I ended up having a seizure TWO DAYS before the shoot was scheduled to happen! Nervous that the stress of this undertaking would be too much, I panicked a little and started calling my teammates to cancel. I was reminded, however, that I had come a long way to bring my vision to fruition and that I had great people in my corner to support me through this stressful, beautiful, exciting, dream-accomplishing moment. The team who worked on this shoot are absolute superstars, and I credit them with the success and beauty that came from this shoot." "This was a shoot where things didn't fully come together until the very end. We had a few mishaps along the way (like not being able to rent out our original intended furniture and improvising with furniture from my own home as well as some thrift shop finds), but it all worked out beautifully and in my opinion, exactly how it was supposed to."